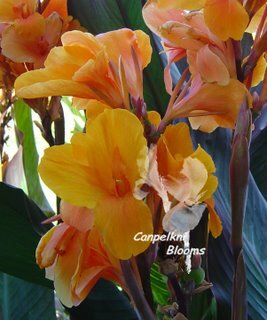 The colors of Orange canna plants range from soft pastel shades through to deep rich oranges. Names and heights are listed, short growing varieties are up to one meter, medium is from above one to two meters and tall cannas are listed as above two meters. 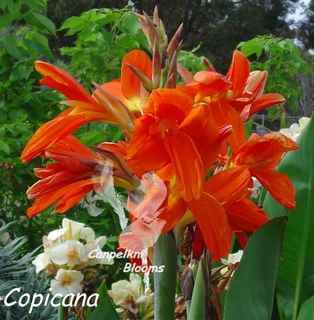 Canna Copicana, medium height, green foliage. 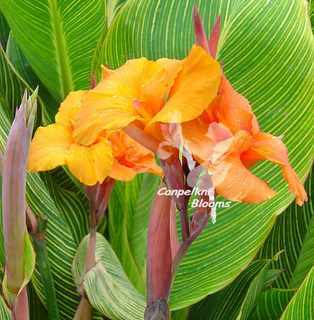 Canna Verdi, medium height, colored foliage. 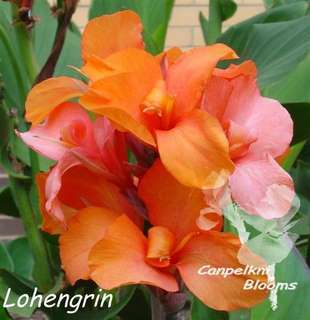 Canna Lohengrin, medium height, green foliage. 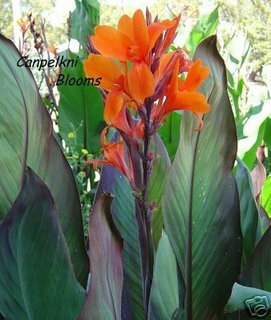 Canna Bushfire, medium height, colored foliage. 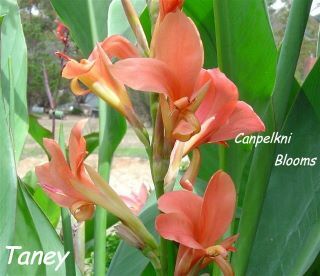 Canna Taney Aquatic, medium height, blue green foliage. 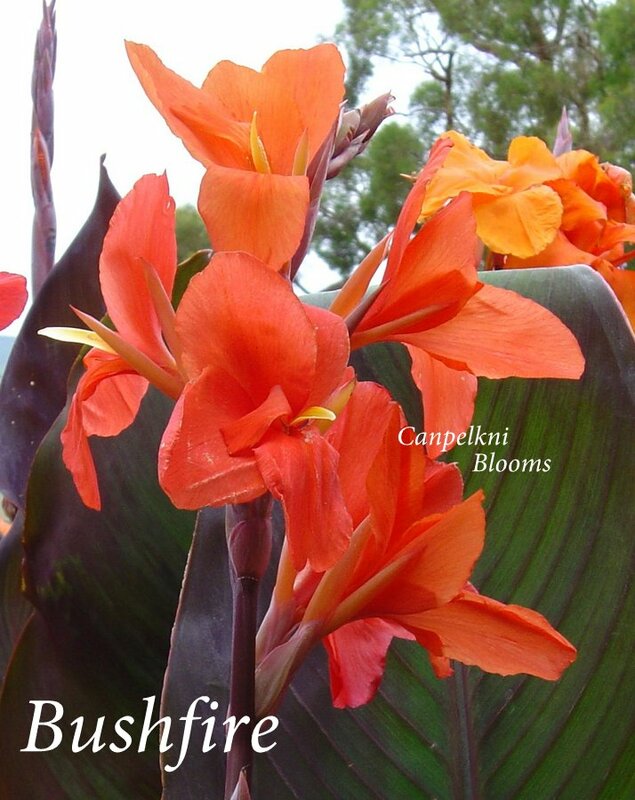 Canna Bushfire, medium height, colored foliage. 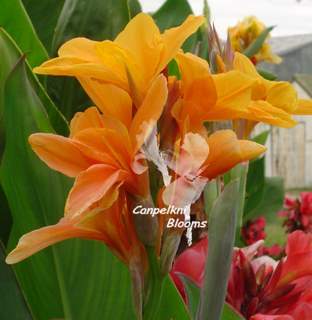 Canna Star of India, medium height, colored foliage. 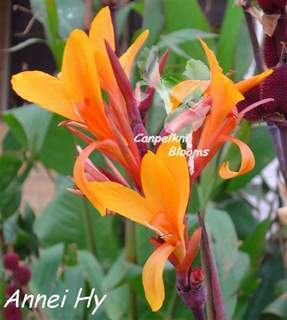 Canna Annei Hy, tall height, green/colored foliage. Canna Bengal Tiger, medium height, variegated foliage. 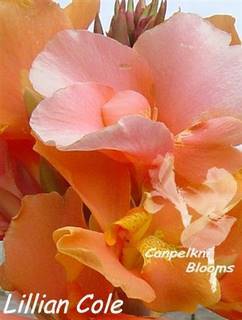 Canna J D Cabos, medium height, colored foliage. 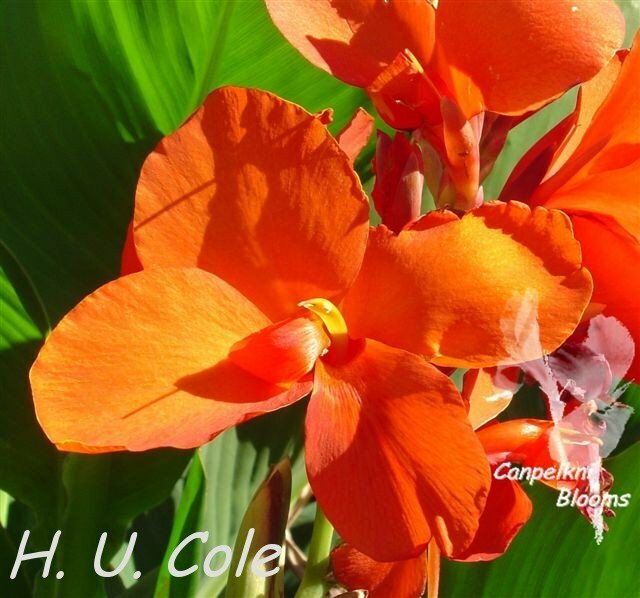 Canna H U Cole, medium height, green foliage. 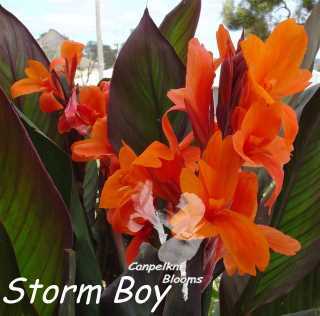 Canna Storm Boy, medium height, colored foliage.